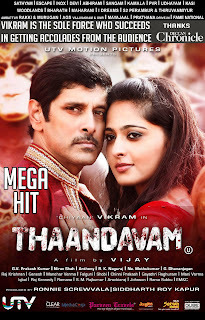 UTV Motion Pictures’ Thaandavam has crossed Rs.14 crore at the Indian box office and Rs.18 crore globally in 5 days, record for a Vikram film. It is the best opening for a Vikram film in recent times.The film delivered the best box office numbers among his last three releases, which is a clear indication of the mass appreciation for his work in this film. Thaandavam a multistarrer had Anushka, Amy Jackson, Lakshmi Rai, Jalapathy Babu, Nassar and Santhanam. Says G Dhananjayan of UTV “Though it opened to mixed reviews on its opening day, it took off well this weekend. The collections are steady now and so, it means that the film has been accepted by the people. ” After the initial feedback, the makers of the film trimmed it by close to 9 minutes to make it more gripping.Camera by Nirav Shah, peppy songs by G V Prakash and action choreography by Manohar Verma are some of the highlights. 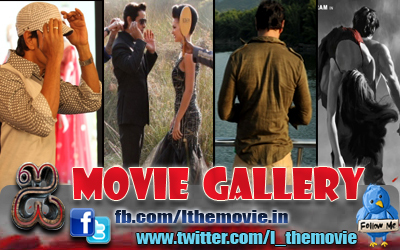 “It’s a Vikram show all the way.Thanks to him, the film has lived up to its hype. He has lent a lot of credibility with his powerful performance. With no opposition this week, the film is expected to continue its good box office run for few more weeks” adds Dhananjayan.